State of the art equipment at Ortho Arkansas. Photo by Jamison Mosley. 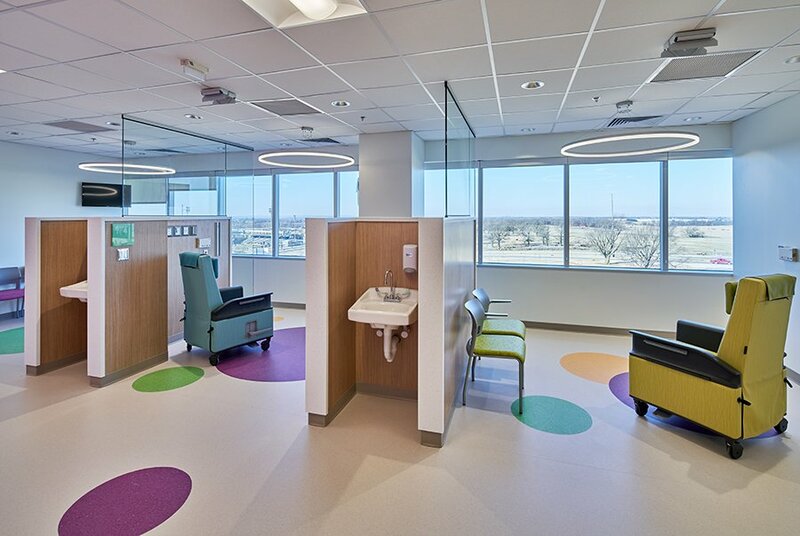 Trisha Montague, senior vice president and chief administrator of Arkansas Children’s Northwest (ACNW) recalls two telling moments from the hospital’s grand opening in February, each a vivid snapshot of how needed the facility is. The first was her interaction with parents, for whom the opening of the facility’s doors meant the end of three-hour, one-way car rides to Little Rock for their children. The second was the pace at which patients flooded into the gleaming 237,000-square-foot hospital for treatment, something that has yet to subside much. “We opened our ED (emergency department) and people started showing up,” Montague says. The lobby of Ortho Arkansas in Little Rock. Photo by Jamison Mosley. The influx made manifest what had been known in the area for some time. 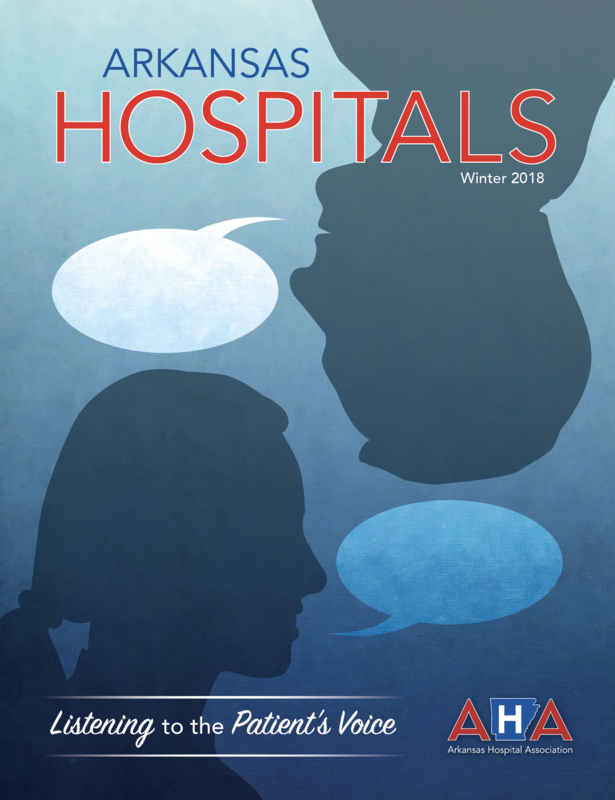 For all of the growth Northwest Arkansas has seen over the past few years, one glaring hole in community services was the presence of a dedicated children’s hospital.  ACNW serves a primary market area that is relatively modest – just 11 Arkansas counties. But about 200,000 children reside within that area. The new ACNW, located in Springdale, features 24 inpatient beds, 30 emergency department rooms, 5 operating rooms and 30 clinic rooms across its five-story facility. It also brings under one roof the various clinics Arkansas Children’s Hospital operated in the area prior to the hospital’s construction. The hospital also boasts a full range of ancillary and diagnostic services, child-life social work, pastoral care programs, outdoor gardens, nature trails and interactive features designed specifically for children. A helipad and refueling station support Angel One, which provides pediatric intensive care transport service. Montague says that while the hospital wasn’t intended to fully match the Little Rock campus in the scope of the cases they deal with, the impact ACNW is having and will continue to have in the area is substantial. Arkansas Children’s in Northwest Arkansas opened earlier this year. Photo courtesy of Arkansas Children’s Hospital. A pleasant surprise, she says, has been the overwhelming support from the community to get the facility built. And that enthusiasm has continued. Headliner donors to the project include the Tyson Family and Tyson Foods ($15 million), Walmart and Walmart Foundation ($8 million), Willard & Pat Walker Charitable Foundation ($8 million culminating campaign gift), J.B. Hunt Transport Services ($5 million), Will Golf 4 Kids and Color of Hope Gala ($5 million over five years), Endeavor Foundation ($2 million) and Kaaren Biggs/Biggs Family/Packaging Specialties ($2 million). In addition, Davis and Cathy (George) Evans, Gary and Robin George and their families donated the 37 acres of land that makes up the campus, a gift worth $7.5 million. Additionally, the grounds will include wellness amenities such as an outdoor labyrinth and nature trail, made possible by a recent gift from the Walton Family Foundation. 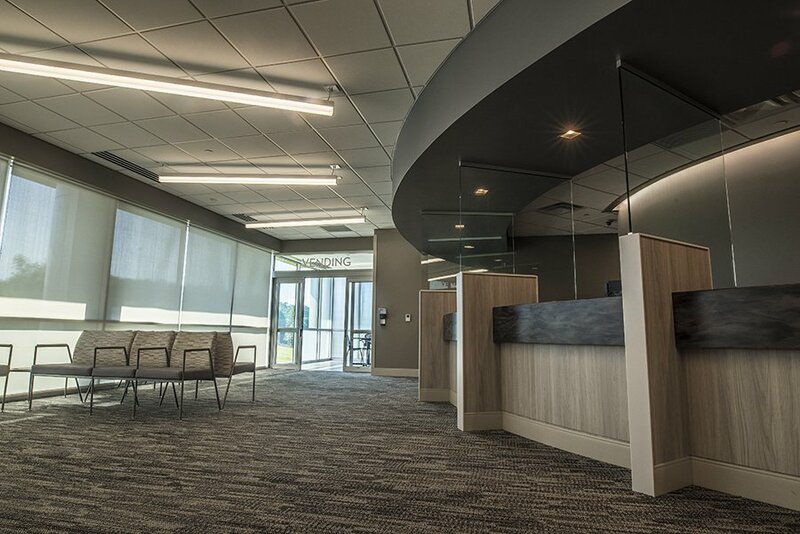 Having finally brought together two of Central Arkansas’ most well-known orthopedics practices, the new-look Ortho Arkansas enters its next chapter as the largest practice of its kind in the state. 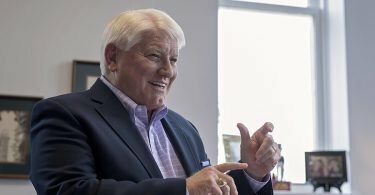 And, according to the architects of the merger with Arkansas Specialty Orthopedics that became official June 1, the new organization is now poised for even bigger things in the future. The new company employs 400. And by physician headcount, it’s the largest orthopedics practice in Arkansas and among the largest in the South, according to Dr. Tad Pruitt, Ortho Arkansas co-president. 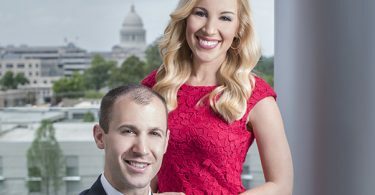 The company operates out of three facilities in Central Arkansas, the largest and most visible of which is a new $20 million building at Fair Park and I-630 in Little Rock, which opened in March. The company currently utilizes 53,000 square feet of the new space, with an additional 25,000 square feet available for expansion. Another new structure, opened in February, is located at 3480 Landers Road in North Little Rock. That branch offers about 27,000 square feet of space and represents a $5 million investment. The company’s original location, known as Arkansas Musculoskeletal Institute, located at 10301 Kanis Road, was built in 1999. The three facilities, along with two outpatient surgery centers in Little Rock and satellite locations in Bryant, Conway, Camden, Clinton, Heber Springs and Arkadelphia, give Ortho Arkansas a presence in two-thirds of the state. Bringing the two organizations together, a process that ultimately took two and a half years, started with a common realization that current and future challenges within the marketplace would be better and more efficiently met together as opposed to separately. According to Beasley, mergers and acquisitions are the road many in the industry are taking to meet challenges, but rarely do services align as neatly as they did between Ortho Arkansas and Arkansas Specialty Orthopedics. Arkansas Children’s in Northwest Arkansas serves 11 counties. Photo courtesy of ACNW. 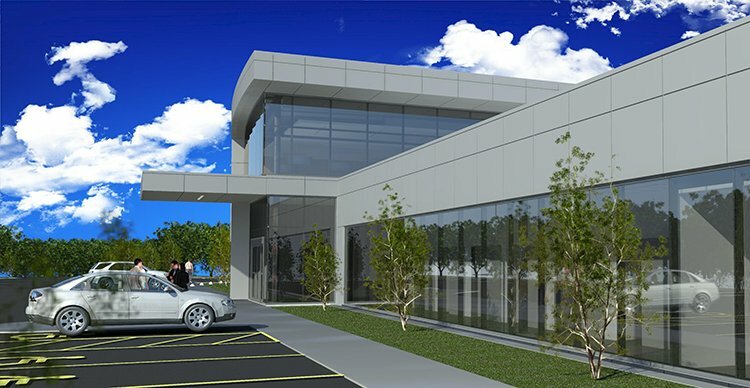 CHI St. Vincent is expanding its Arkansas Neuroscience Institute with a new 40,000-square foot research and education building located in Sherwood on the St. Vincent North Campus. The groundbreaking was held last month, and the new building is expected to open in early 2019. There are two projects happening simultaneously on the St. Vincent North Campus: the construction of the $17 million research and education center, developed by Denver-based NexCore, and a $13 million hospital renovation. 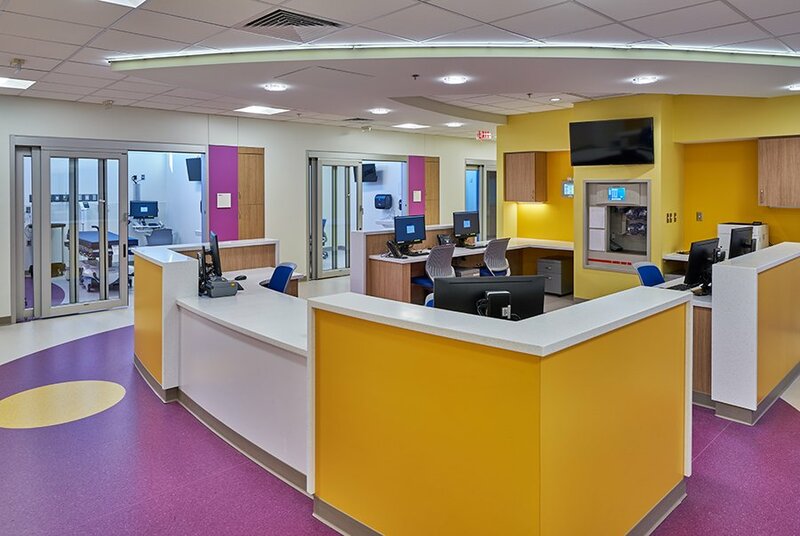 North Little Rock’s TAGGART Architects and Little Rock’s Clark Contractors has taken on the expansion project, while Nabholz is handling the hospital renovation. Chris Stines, vice president of operations at St. Vincent North, who is overseeing development of the new ANI building, says many different factors cumulated to make this project unique for Arkansas. One of those factors, he says, has been the long-time vision of Dr. Ali Krisht, director of the Arkansas Neuroscience Institute. A rendering of CHI St. Vincent’s new neuroscience center. Photo courtesy of CHI St. Vincent. Because of Krisht’s advancements in neurosurgery at St. Vincent, the patient load has increased. The new research and education center will feature a 150-seat auditorium, with a fiber line connected to the hospital’s operating rooms. Surgeries can be recorded in 3-D and transmitted to the auditorium, as well as the laboratory in the facility’s research building, where physicians can learn from Krisht and others. The renovated hospital will include a 3T MRI, which, according to Stines, is unique to North Little Rock/Sherwood. 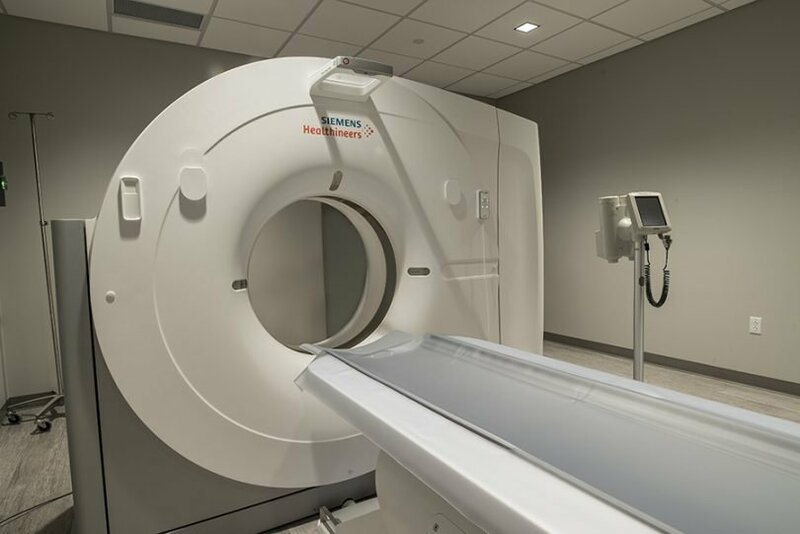 The scanner generates a magnetic field that is several times the strength of an open field MRI scanner, allowing physicians to make better diagnoses. Altogether, both projects will cost approximately $30 million, with funding coming from CHI National.